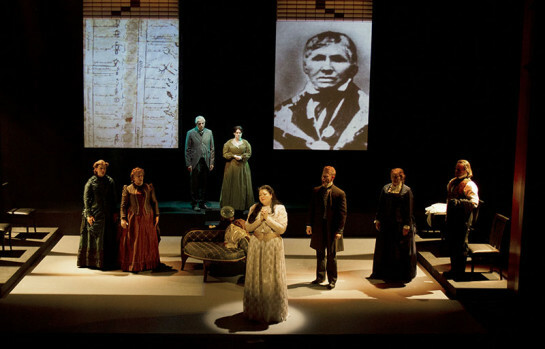 City Opera's 2014 production of PAULINE. Photo: Michelle Doherty. THE COMPANY: City Opera Vancouver is a professional chamber opera company. We specialize in new and unusual repertoire, with an emphasis on Canadian themes and artists. We commission and produce mainstage opera, give concerts throughout the year, and maintain a strong volunteer and community component. We are now hiring our first General Manager, and seek someone able to help realize the potential of a growing company. This is a half-time position, on contract – approximately 20 (twenty) hours per week, which could be combined with a part-time position in an allied arts organization. Compensation commensurate with experience. In consultation with the Chair of the Fund-raising Committee, oversee all fund-raising activities, donor data bases, bookkeeping and reporting mechanisms.